Mental illnesses– depression, schizophrenia, bipolar disorder, etc.– can feel pretty hopeless to those looking for healing through mental means. The human mind, or brain, itself seems like the problem– so how can the mind restore itself to balance? Here are two spiritual practices to improve mental health. First: all healing, restorative energy comes from infinite Spirit, the divine Mind. Not from the brain. Practice recognizing and feeling that you, or whomever you’re helping, has a spiritual source of balanced, healthy intelligence and mental function outside the body. This source, divine Mind, is always communicating its creative, orderly, healthy thoughts to each of us. And each of us has been created with the peace and power to listen, and to give increasing priority to these thoughts from Spirit. Second: the brain is just another organ. It’s not really our mind. So it is susceptible of spiritual healing—restored to normal chemistry and function—through spiritualized consciousness, just as much as the heart, lungs, muscles or other tissues. Accept the fact today that your individual consciousness is created and sustained by the divine Mind, beyond and above the physical brain. Intentionally use this spiritual awareness to recognize yourself or your friend as able to experience healing of brain function, just as they can with any other organ. 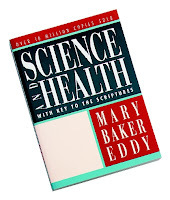 Mary Baker Eddy was a spiritual pioneer in the area of mental health. If you click here and type the word brain into the upper box, you can read every passage which includes that word in her book, Science and Health with Key to the Scriptures. I’m always available (9am-9pm daily) by phone or email to support you or your family…. This entry was posted in Christian Science, Science and Health, Spiritual Healing and tagged Christian Science, Christian Science Practitioner, Mary Baker Eddy's spiritual ideas & practices, mental illness, Miles Harbur, Science and Health, Spirit mind body healing, Spiritual Healing, spirituality and health by Miles Harbur. Bookmark the permalink. that’s a good post, Miles. Thanks for making your good thinking available for all. As with any healing modality, the results of Christian Science treatment are unique for every individual. A free introductory treatment session is offered to help you determine if the Christian Science approach feels effective in your case. Copyright ©2007-2015 Miles Harbur C.S. All rights reserved.